Thanks for your post. It helps me connect my php apps to sql server. What to do to make the connection possible ? I’m checking my firewall to fix the problem, but nothing till now. I’ve tried $server = ‘servername\instance’; as suggested by nothing at all. My firewall tells me something connecting to the ‘servername’ on port 1434, but nothing else. 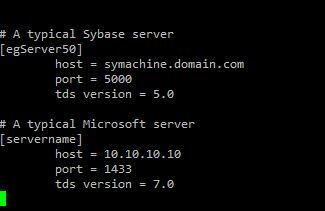 I have another server with sql server 2005, without instance name (default instance). The snippet runs successfully. But as soon as I want to connect to a server with instance name, it fails. I’ll trie another way later. If it helps, you will be informed. You save my day! thank you! works perfectly! PHP 7 removes mssql_* functions. You’re going to need to get PDO working instead. Good luck with that. message: Cannot insert the value NULL into column ‘mydate’ column does not allow nulls. INSERT fails. mydate doesn’t allow NULLs, but in the Query the date is clearly set. The Query runs fine on MS SQL Management Studio, but via PHP the query fails. Anyone know what could be at fault here?